ALTECH has recently created an automatic machine for wrap-around labelling of cylindrical salamis and sausages for a German food company. 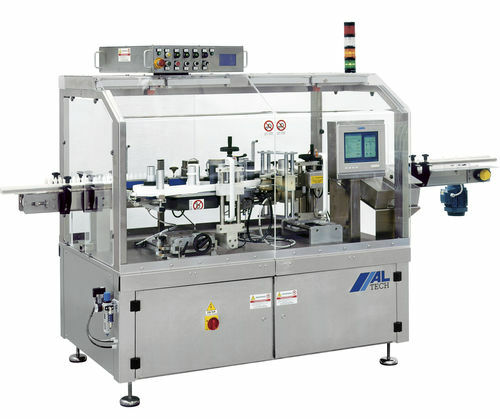 The system is based on the ALline C model, equipped with an ALritma M labelling head. 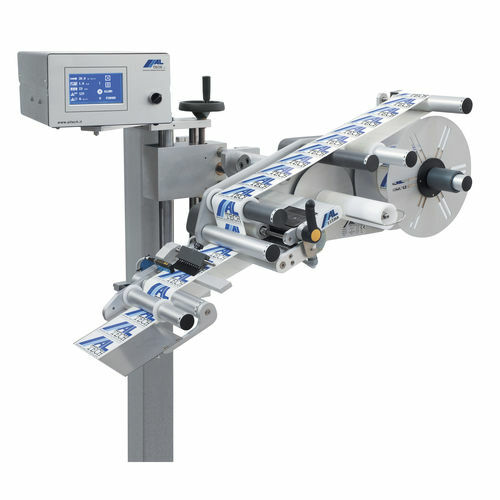 It receives the products on a widened horizontal rollers conveyor and perfectly applies the dispensed labels onto the salami surface by means of a rolling device that can be easily adjusted as the products come in 3 different shapes, with 3 different label sizes. Format changes are generally extremely easy to perform. The system is fitted with a micro inkjet marker for printing repetitive data, in this case sell-by dates. The device is adapted to the labelling head thanks to a special support for third-party printing units. Salamis and sausages are labelled at a speed of 80/min. for small formats and at approximately half this speed for larger formats. An ALbelt C wrap labeler was recently installed in an upscale craft brewery in the North East United States. Bissell Brothers Brewery creates a variety of short run, limited edition beers in their brewery in Portland, Maine. Among its numerous solutions for product identification and traceability, ALTECH presents a system for labelling jars and bottles.